“I think that literacy is very important. Reading has opened up my mind to so many things. The more you read, the more you learn, the more you know, the more you can do with your life, the more you can help others, the more you can produce, the more you can create. Everything starts with that first book—that seed—that gets a kid to read. 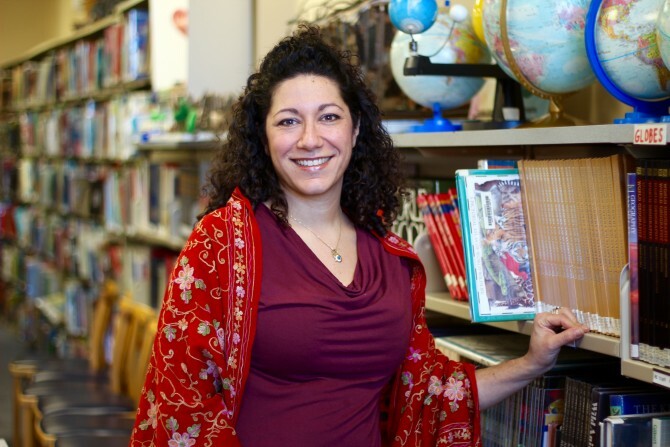 I’ve always been a heavy reader and a devoted patron of the Jewish Public Library as a kid, and then I started working there, and then I decided to go to Library School and do my Master’s in Library Studies. I’ve been working with kids for the last 15 years and I have seen firsthand the difference reading abilities make in a child. As my life has gone on, my love for reading has also been combined with Israel advocacy, because I’m a bit of a news junky and I love reading about history. I work with two social media news sites on Facebook and Twitter that do pro-Israel advocacy. We try to change the image of Israel around the world. That’s sparked my realization that we need to step up, speak out, and say the truth about Israel. It’s a global issue for all Jews, because, ultimately, we’re all affected by it.